AirVantage is a very interesting IoT platform from Sierra Wireless. Among the features it exposes, we notably find device management; monitoring and alerts; and data storage capabilities. The platform seamlessly integrates with Sierra devices (gateways and routers) and uses MQTT for communicating with third party hardware. Last but not least, AirVantage also exposes most of its features through an extensive REST API, part of which we wrapped into a connector, described in a dedicated post in this blog. In the current article, we explain how to use our connector and scriptr.io’s bridges to communicate with your AirVantage devices, through MQTT. Scriptr.io’s bridges are protocol adapters: they listen to messages sent by clients using one protocol (e.g. MQTT) and inject them into your channels that further dispatch them to all their subscribers. The name of the topic adopts the following convention: “/messages/json”, whereas the username is the gateway’s serial number and the password is the one set for the application that is automatically allocated to your device, in the AirVantage platform. To find out what serial number you should use, simply sign-in to your AirVantage account. Once signed-in, click on the “Monitor > System” option in the upper menu. This loads the list of devices you have. From the list, select one device to load its details. From the device details view, click on “More > Edit”. To create an MQTT bridge, you first need to configure an endpoint, then assign the endpoint to a bridge you bind to one of your channels. 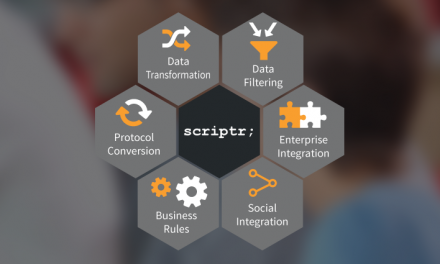 In scriptr.io, a channel is an abstraction of publish/subscribe mechanisms: any message published to a channel – regardless of the protocol initially used to send the message – is broadcast to all its subscribers, whether they are scripts or client applications. For the following, make sure to sign-in to your scriptr.io workspace before proceeding. In the URL field, enter the URL of the AirVantage MQTT broker, it should normally be “mqtt://eu.airvantage.net” or “mqtt://na.airvantage.net”. Don’t forget to prefix your URL with “mqtt://”! Once your endpoint is ready, select the channels tab from the settings dialog. If you do not already have a channel, create one by clicking on “+ Add Channel”. In the channel, select the endpoint you need to use for the bridge from the field on the left, and paste an authentication token in the field on the right. You can use your personal token (Your Username > Account > Token) or any token that was issued for a device you created (You Username > Device directory), but you can’t use your anonymous token. Once this is done, click on “Add Bridge”. Once your bridge is ready, it will automatically subscribe to the AirVantage MQTT topic you have specified. As messages are received, the bridge will publish them to the channel it is bound to. In order to process theses messages (e.g. use them in some business process or to feed a dashboard), you need to implement this processing logic into a script that you will subscribe to the channel. 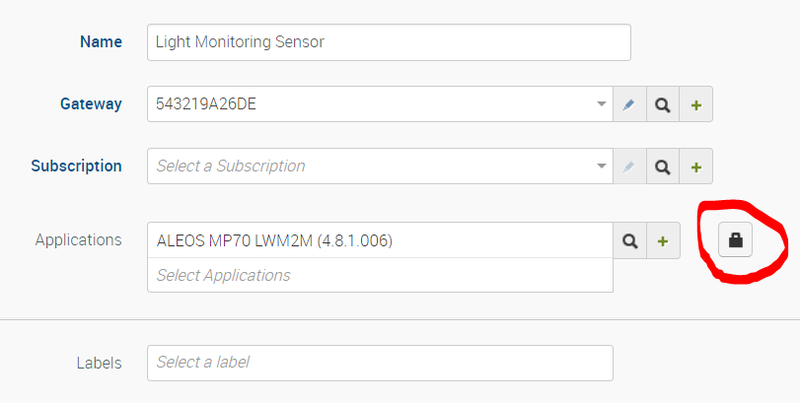 To subscribe your script to the channel that is receiving the MQTT messages, the simplest way is to click on the “subscribe” button on the top-right corner of the workspace, scroll to your channel in the channel list, then switch the toggle to “on”. What we have done so far allows you to receive your AirVantage device’s data, as soon as it is available on the AirVantage platform. It is now time to see how to communicate back, notably by sending tasks (instructions) to your device, via MQTT, using the AirVantage connector. Click on the arrow near the “+ New Script” option in the bottom left corner of the screen, then select “Install Module”. If you cannot find “AirVantage” on the list, just click on “Add custom module from Github”, then enter “scriptrdotio” for the Owner name, “airvantage” for the Repository name, “/modules/airvantage” for the path, “master” for the branch and “/modules/airvantage” for the destination folder. Click on install to deploy the connector to your workspace. It will be installed in the “/modules” folder.